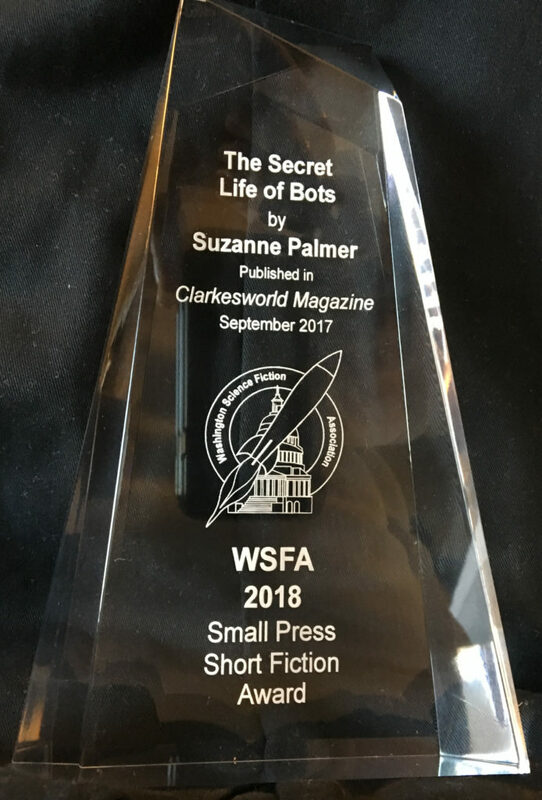 The Washington Science Fiction Association (WSFA) presented the 2018 WSFA Small Press Award for Short Fiction at Capclave on September 29. “The Secret Life of Bots,” by Suzanne Palmer, published in Clarkesworld Magazine, ed. by Neil Clarke and Sean Wallace, (September 2017). The award, which honors the efforts of small press publishers in providing a critical venue for short fiction in the area of speculative fiction, showcases the best original short fiction published by small presses in the previous year (2017). An unusual feature of the selection process is that all voting is done with the identity of the author (and publisher) hidden so that the final choice is based solely on the quality of the story. 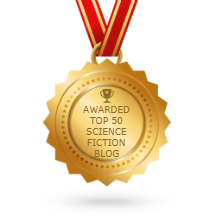 Eligible nominees are works of short fiction up to 17,500 words long in the sf, horror and fantasy genres, published by a small press in book or periodical form. Periodical: Small press periodicals are paper publications with a circulation of fewer than 10,000 paper copies, or web publications with fewer than 10,000 subscriptions. Periodicals must compensate authors in some manner, and authors must not contribute financially to the publications. Members of the WSFA Small Press Award Committee are Roger Burns, Cathy Green, Charity Helton, Sam Lubell, and Carolyn Frank (Administrator). The award, consisting of a small acrylic trophy, and a monetary prize of $500, will be presented at WSFA’s annual convention, Capclave, held October 6-8 in Gaithersburg, MD. Certificates of recognition will be presented to the other finalists. 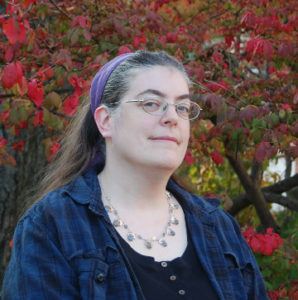 SF authors, small press publishers and WSFA members have until March 31 to nominate stories for the Washington Science Fiction Association Small Press Award for short fiction, now in its tenth year. 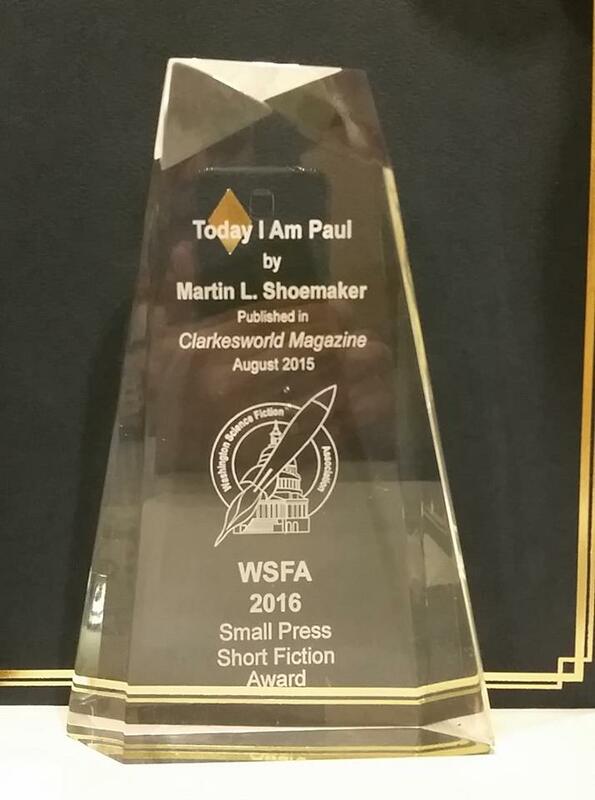 The award honors the accomplishments of small presses in promoting and preserving sf. According to The Rules: “A single representative of a small press or periodical may nominate no more than three (3) stories, which may include stories published by the press/periodical or others. This representative may be the publisher, editor, or an official desgnee. An author may nominate one (1) story, published by themselves or others. A WSFA member may nominate one (1) story.” Then five members of WSFA screen the submissions and produce the list of finalists. Members of the WSFA Small Press Award Committee are Roger Burns, Cathy Green, Charity Helton, Sam Lubell, Sarah Mitchell and Carolyn Frank (Administrator). 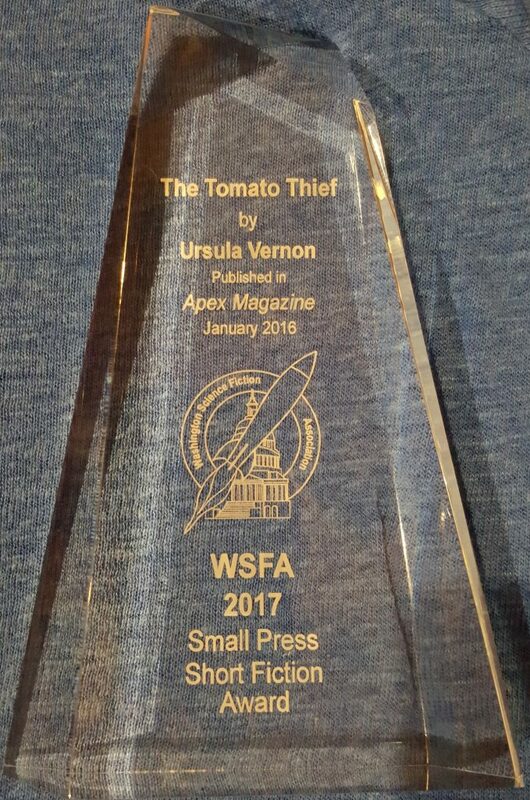 The award, consisting of a small acrylic trophy, and a monetary prize of $500, will be presented at WSFA’s annual convention, Capclave, held October 7-9 in Gaithersburg, MD. Certificates of recognition will be presented to the other finalists.